Dreaming of a peacock has several different dream meanings. 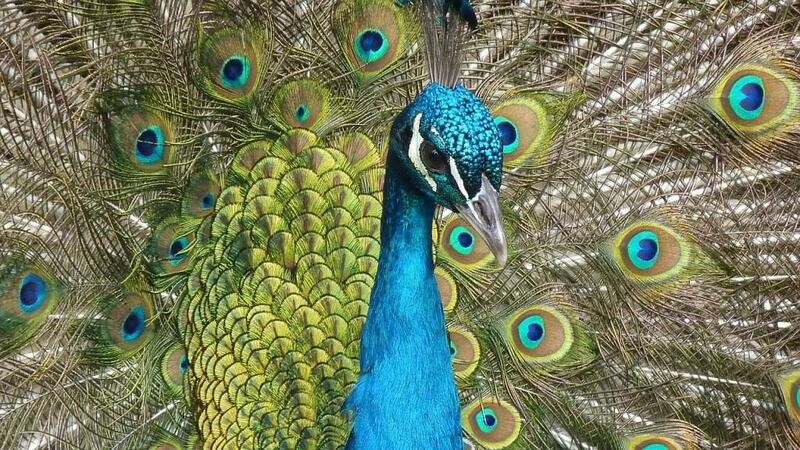 As a majestic bird, the peacock symbol in a dream often represents pride and ego. Peacocks can also be a spirit animal guide or power animal to help support you through a current challenge in your daily waking life. If you feel that you connect with peacocks or feel naturally drawn to a peacock because of its beauty, it can be helpful to understand the wisdom of a peacock in your day to day life. If you see a peacock strutting: This may be a message from your subconscious that you need to become a little more humble in waking life. If you hear a peacock squawking: This typically indicates that you are trying too hard to impress other people. If you see a peacock fanning its feathers: This indicates that you will be presented with a new and exciting opportunity. Of course your opinion and experience with this bird will impact the meaning of its manifestation in your dream. If these interpretations do not seem to fit with what is going on in your current waking like, ask yourself what peacocks mean to you. Remember, you are always the best and most accurate interpreter of your dreams! Feel free to share your peacock dreams in the comments below!